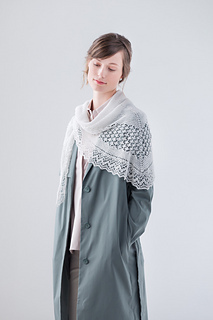 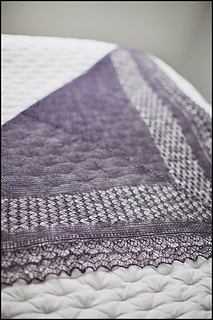 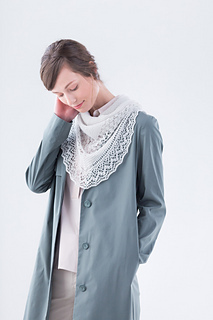 A ribbon of zigzag lace with a yarnover selvedge forms the foundation for this pretty triangular shawl. 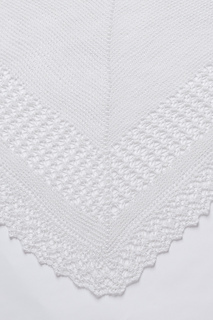 Stitches picked up from the yarnovers take a few steadying ridges of garter stitch while decreases are established at the edges and spine, then begin to intermingle in a traditional two-sided lace pattern before relaxing into an ever-diminishing field of garter. 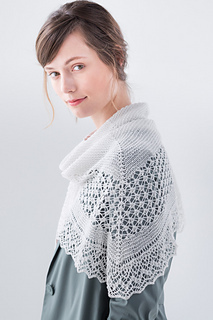 This perfect balance of focused effort and straightforward plain knitting has made Rock Island an enduring favorite in the Brooklyn Tweed archives. 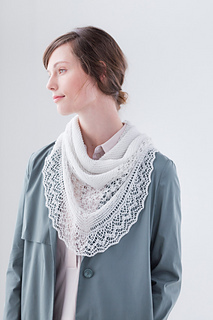 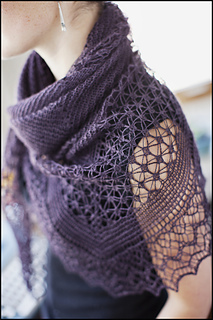 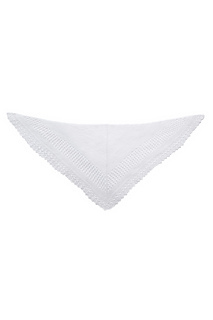 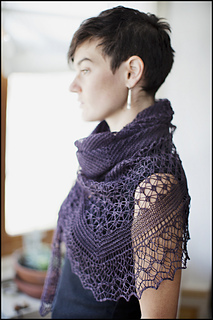 Please note: the stitch patterns in this shawl are charted only.